Possibly one of the greatest, and certainly one of the most iconic, FA Cup Finals of all time took place on this very day back in 1953. It was contested by Blackpool and Bolton Wanderers. 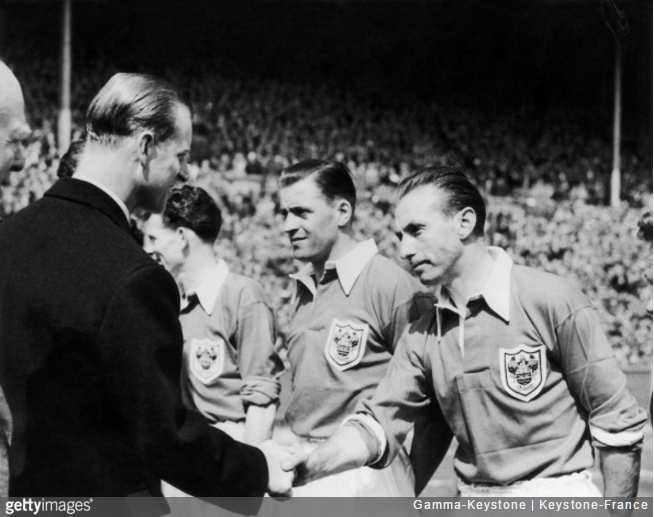 Blackpool won 4-3, with Stan Mortenson scoring a hat-trick, but curiously the game has gone down in history as ‘The Matthews Final’ – that’s Stanley Matthews, in case you were wondering. The debate over whether Matthews really was the man of the match has raged for years, and the whole issue was covered in David Tossell’s book ‘The Great English Final’. The book not only takes a look at whether the notion of the Matthews Final was a myth, but also uncovers some fascinating facts that paint a picture of how football was played in 1953. Understanding why the game came to be dubbed as such requires an understanding of the place the great Sir Stanley had in the nation’s heart. Arguably the first football superstar in England, Matthews was every inch the clean-cut (smoking habit aside), clean-playing Englishman. He’d been on the losing side in two FA Cup finals and, at 38, the feeling was that this was his last chance. Public affection was overwhelmingly for Matthews, and the nearest modern equivalent is probably the groundswell of neutral support Brian Clough received going into the 1991 FA Cup Final – people were willing on a great manager who was within spitting distance of winning the only trophy that had proved elusive thus far. In truth, Matthews didn’t play his greatest game. He admitted later the popular label given to that final made him “cringe with embarrassment”. When The Times commissioned an Opta analysis of the Final for the game’s 50th anniversary, Matthews was rated the fifth best player on the pitch. The BBC bought the rights to the Final for £1,000, and the game was watched by an audience of 10million – more than watch some of today’s finals on TV. The players were on £12 a week, and the win bonus for the final was £25 for Bolton, and £20 for Blackpool. Ticket prices ranged from 2 pounds, 10 shillings to 3 shillings and 6 pence – in short, they were rather expensive. Each finalist was allocated 12,500 tickets at the 100,000 capacity stadium. Reviewing Tossell’s book in 2013, journalist Christopher Davies remarked that this was a result of an underlying FA policy that “they were simply unwilling to have their national event dominated by the working-class masses that typically made up most clubs’ fan bases. Far better to allow in the lords and colonels who dominated the committee rooms of the amateur game.” Hear hear. After the game, with Matthews’ side victorious, the press went for the ‘Matthews Final’ angle. It was the popular narrative, it was what the public wanted, and giving the public what they want sells papers after all. We suppose that’s got to count for something.